Arnold Schwarzenegger is an American actor, director, producer, politician and former professional bodybuilder born on 30th July 1947. At the age of 14, Arnold choose bodybuilding as a career and earned success in this profession. He is still considered an important figure in the history of bodybuilding. Schwarzenegger wrote for different magazines on bodybuilding and his autobiography Arnold: The Education of a Bodybuilder as well received huge appreciation after being published in 1977. In addition to that, Schwarzenegger as well earned fame as an actor. Arnold’s acting career started with the role of Hercules in the movie Hercules in New York. 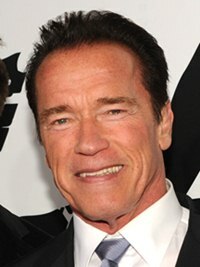 But his breakthrough role was from the movie Conan the Barbarian in 1982 after which Arnold Schwarzenegger received critical acclaim and signed lots of blockbuster films including Commando, Terminator 2: Judgment Day, Junior and Terminator 3: Rise of the machines. He is also the winner of Golden Globe Award and received a star on the Hollywood Walk of Fame. 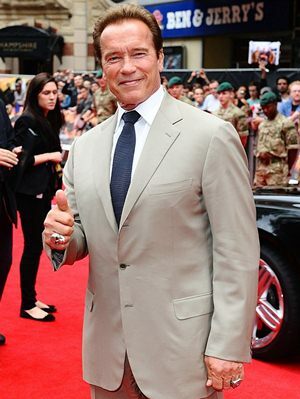 Moreover, Arnold also received success as a businessman and politician. He served as a governor of California two times. In her personal life, Schwarzenegger married television journalist Maria Shriver but they divorced after 25 years of marriage in 2011. The couple has four children. Check the complete actor Arnold Schwarzenegger body measurements details listed below including his weight, height, chest, waist, biceps and shoe size. Schwarzenegger won the title of Mr. Olympia seven times. Arnold Schwarzenegger is a renowned fan of cigar smoking. He had an elder brother who died in a car accident in his twenties. in the early 80’s i think 1980 when he trained for 6 weeks and won the mr olympia for 7th time. Frank Zane and the 3rd place smashed their trophies. Arnold had advantage of height weight and symetrical body. Zane was like 5’6″ A nold was a natural to a degree!! They the next few years made him judge so he wouldn’t compete a d win 8,9,10, Mr Olympia!! His thighs are significantly larger than 5 inches, lol.